A summary of Fundamental Organic Chemistry Mechanisms with appropriate acronyms. 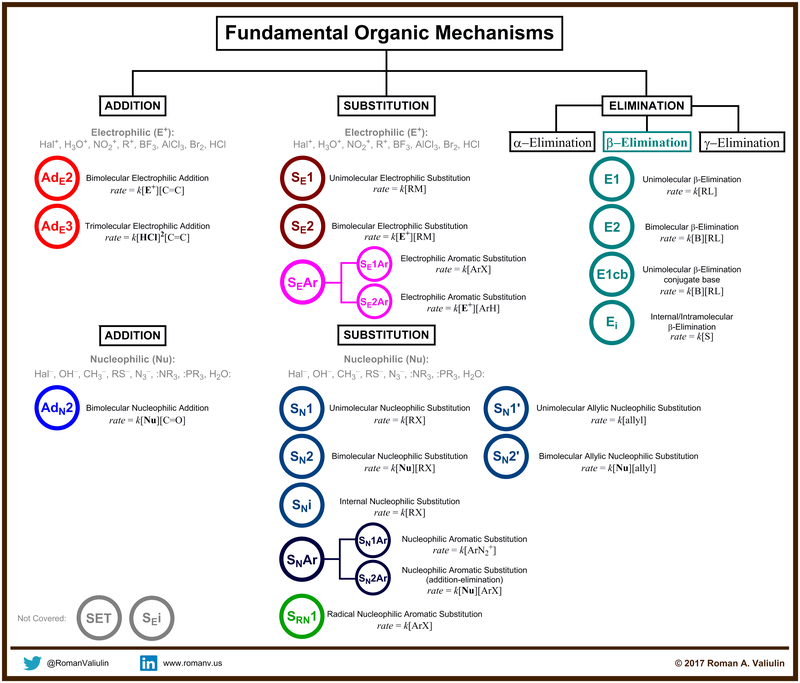 The chart covers Addition Mechanisms (electrophilic & nucleophilic), Substitution Mechanisms (electrophilic & nucleophilic), and Elimination Mechanisms (focusing on beta-elimination). The chart mentions but does not classify SET (Single Electron Transfer) Mechanism.